As you're reading this post, university Fresher's weeks up and down the country will be in full swing! I am halfway through a fortnight of Fresher's at the University of Leicester, where I'm studying for a PhD in Museum Studies. Earlier this week, I took you through a little tour of my new bedroom, but now it's time to focus on what I'll be kitting it out with! 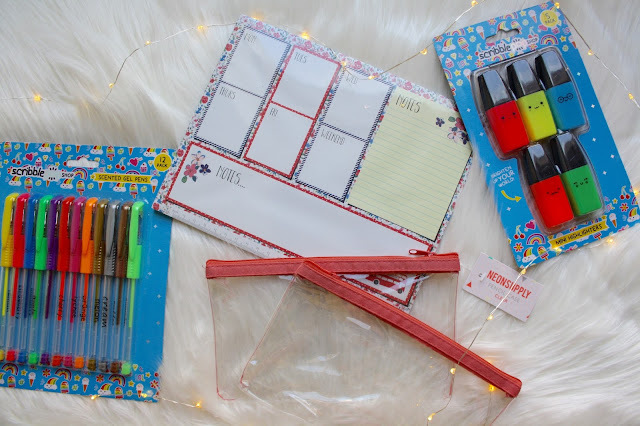 I was lucky enough to be sent a box of goodies from Home Bargains, packed with everything I'll need to start a new year at university on a high! Moving in to a new city and a new course can be really tricky, with trying to make new friends and get a feel for the place, so having a cosy and homely bedroom when you come back in the evening makes a real difference! 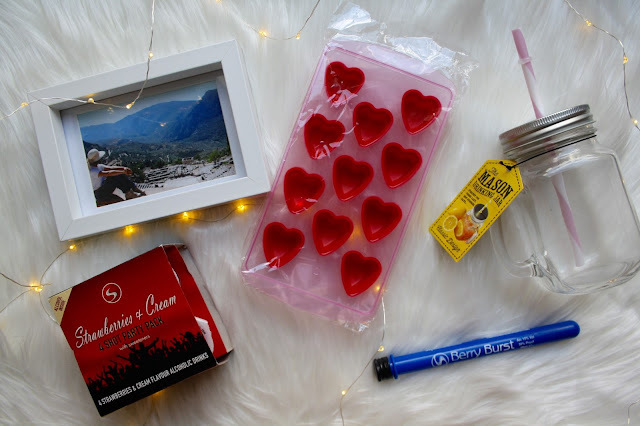 My Home Bargains goodies have definitely helped me settle in, so keep scrolling to find out what I was sent! The first things to catch my eye when I opened this box were all of the stationery bits and bobs! Pencil cases always come in handy and to get clear ones is always a good idea, as you'll likely need them for any end-of-year exams. These two cost just 49p each, so a total steal! Alongside these were a pack of Scribble highlighters with adorable faces on! At just 89p, these will come in really handy when I'm annotating my notes. Also from Scribble comes a pack of gel pens, which take me right back to being 10 years old! I love using colourful writing in my snail mail letters, so my pen pals can expect to see me making good use of these! The pack of twelve costs £1.29. I was also delighted to find this vintage-style floral weekly planner, which is ideal for keeping on your desk to jot down notes and keep yourself organised. Again, this was a total bargain at 79p! Up next came a selection of alcoholic drinks - a berry burst shot tube, which certainly won't break the bank at 39p, and a party pack of strawberry and cream flavoured party shots! Really handy for the inevitable pre-drinks! As well as the shots, I was sent a heart-shaped ice cube tray, costing just 79p! I was also given something to drink from, an adorable mason jar with a pink stripey straw! How blogger friendly is that?! Expect to see it in plenty of upcoming flatlays! This mason jar is only 59p in Home Bargains as well, so if you're looking for something similar, I highly recommend heading in to your local store. The little white photo frame is a perfect fit for my room, which is blue and white in theme, and I chose to fill it with a snap of me in Delphi, Greece, as a reminder of that glorious trip! 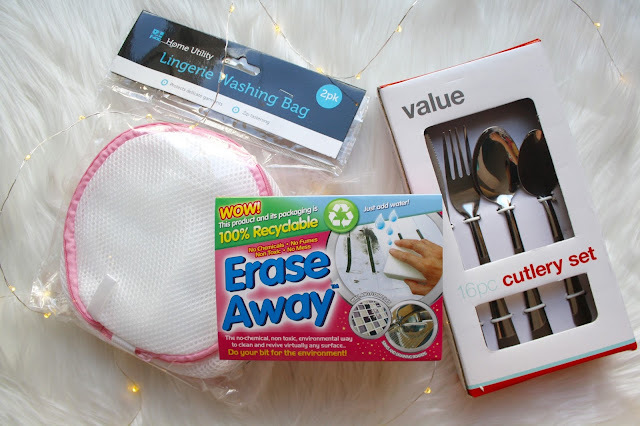 Doing your own cleaning and laundry is an unfortunate but necessary part of every student's life, but these jobs will be made far easier thanks to my goodie box! The lingerie washing bag with be an absolute godsend for me, as I prefer to wear bralettes instead of underwired bras, meaning that the material they're made from can be a bit flimsy and prone to tearing in the washing machine. With this 79p washing bag, that won't be a problem! The Erase Away scuff remover at 99p will be immensely handy for cleaning my bathroom - you just wet the sponge, squeeze out the excess, and wipe the dirt away! Another essential is cutlery, and since it always seems to disappear in any communal kitchen, I'm glad that Home Bargains have sent me another set! 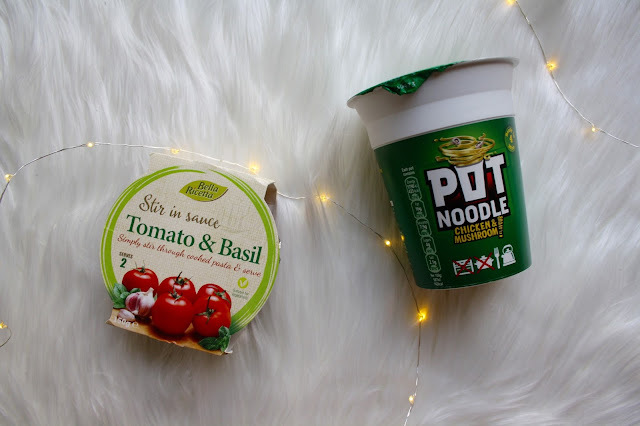 Of all the things that I thought university life would teach me, how to take a glamorous picture of a Pot Noodle was not one of them! However, I *think* I've succeeded here! Any student who makes it through their entire degree without eating a Pot Noodle is definitely a rare beast, and as this chicken and mushroom flavour Pot Noodle is vegetarian-friendly, I'll certainly be tucking into mine. Pasta is another key student staple, so this stir in tomato and basil sauce will certainly come in handy when I'm in need of a quick-fix meal! The final item in my goodie box was a set of the gorgeous LED fairy lights that you've seen used in the photos throughout this post - at £3.99 they're the most expensive item in my package, but they're so pretty and delicate that they're well worth it! A huge thank you goes out to Home Bargains for sending out this fantastic goodie box - I was so impressed to see just how much you're able to purchase for such low prices in their stores! If you're kitting out your uni room on a tight budget, I highly recommend that you pop in. 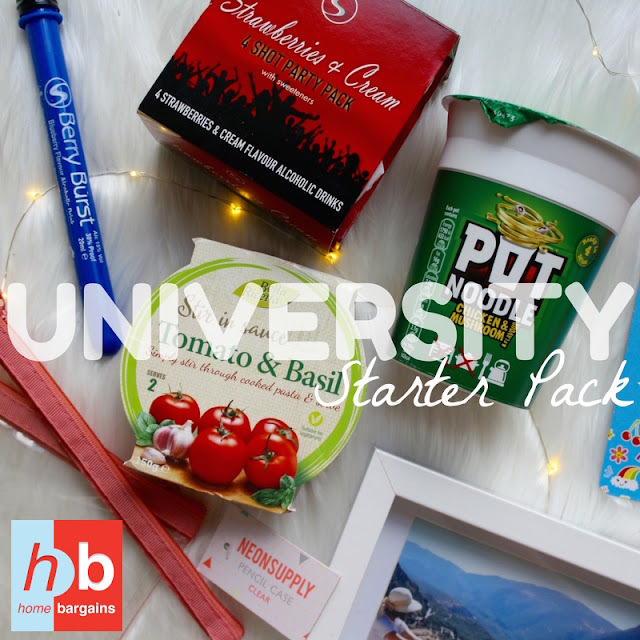 What are your uni starter pack essentials? What couldn't you have survived your first term without? Share in the comments below!